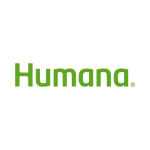 "When Humana committed to improving the health of our communities 20 percent by 2020, we challenged our own associates to meet this bold goal by the end of 2017"
LOUISVILLE, Ky.--(BUSINESS WIRE)--100 days. That is how long it took for Vanessa Marrow, personal health coach for Humana Inc. (NYSE: HUM), to get her own blood pressure, cholesterol and blood sugar to a normal range and to establish a new routine of walking every morning. 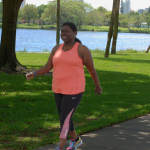 Vanessa achieved these health goals during last year’s 100 Day Dash, a step challenge designed to encourage Humana associates and their family members to move more and have fun doing it. Vanessa had so much fun accumulating 900,734 steps during the 2015 Dash that she is committed to going over one million this year. The Dash started on April 4 and is open to all associates and their adult dependents who participate in HumanaVitality, a wellness rewards program. Steps are tracked by a pedometer or other wearable device, and for many people – like Vanessa – monitoring their daily movement becomes a new healthy routine. Since the inaugural year of the Dash (2012), Humana associates have taken nearly 40 billion steps together during the annual Dash. Along the way, close to half of associates (42 percent) have also steadily improved their health by eliminating health risks. Those risks include high BMI, blood pressure and abnormal glucose. “When Humana committed to improving the health of our communities 20 percent by 2020, we challenged our own associates to meet this bold goal by the end of 2017,” said Timothy State, Enterprise Vice President of Human Resources at Humana. “We’re getting there through experiences such as the 100 Day Dash, demonstrating what Humana is all about – a community that thrives when it works together to help people be their best." In 2015, associates took 15.5 billion steps, an increase of four billion steps over the previous year. 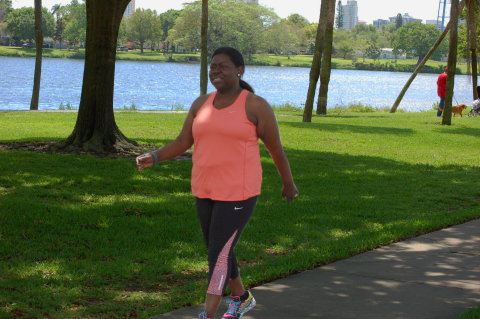 Similar to last year, associates with physical disabilities or medical conditions that prevent them from walking/running are participating in an alternative workout program. Accepting alternative workouts is a way to engage even more associates in the Dash and reflects Humana's inclusive culture focused on well-being. The Dash has also partnered with the Humana Foundation for a second year. If Humana associates reach an overall step goal by the end of the Dash, the Humana Foundation will give $15,000 to a charity selected by associates. Plus, two new features will allow individual associates to “Dash with Purpose.” First, they can support a charity as part of their Dash prize and second, associates can take advantage of Humana’s partnership with CharityMiles (www.charitymiles.org) to raise funds for the charities of their choice simply by being physically active. The charitable aspect of the Dash aligns with an important concept – a meaningful purpose is at the root of a healthier lifestyle. The 100 Day Dash runs through Tuesday, July 12.